The TL70 track motion can transport robots up to 3 tonnes and can achieve high performance levels that enable optimum efficiency of production machines. 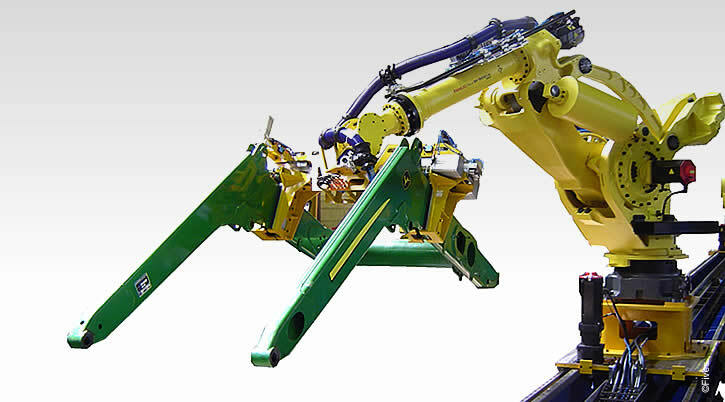 The TL70 track motion has multi-robot version. Precise : a patented transmission system ensures accurate positioning without constraints on the reducer shaft. Modular : the translation axis can be fitted to the 7th axis of the robot or to a positioning axis (Sew, Bosch, Siemens). Reliable : rack/pinion transmission is perfectly suited to the constraints of the harshest industrial environments. The design of the TL70 track motion ensures a repeatability of 0.1mm, which is perfectly suited to handling.